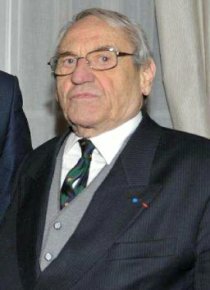 The INS notes with sadness the death of Robert Chénier, President of the Association for the Conservation of Napoleonic Monuments (ACMN). M. Chenier died on 25 January of a heart attack. He was highly decorated, including being a Chevalier of the Legion of Honor, an officer of the National Order of Merit and even an Honorary Colonel in the French Air Force. M. Chénier was dedicated to the promotion of Napoleonic history. His book, Les Officiers d’Ordonnance de l’Empereur, is an outstanding resource, and his leadership in the ACMN was invaluable. He was Vice-President of the Amis de Ligny and instrumental in getting a monument erected there recently. The INS extends its sympathies to his wife and family, and to all who knew and respected him. Robert Chénier will be sorely missed.